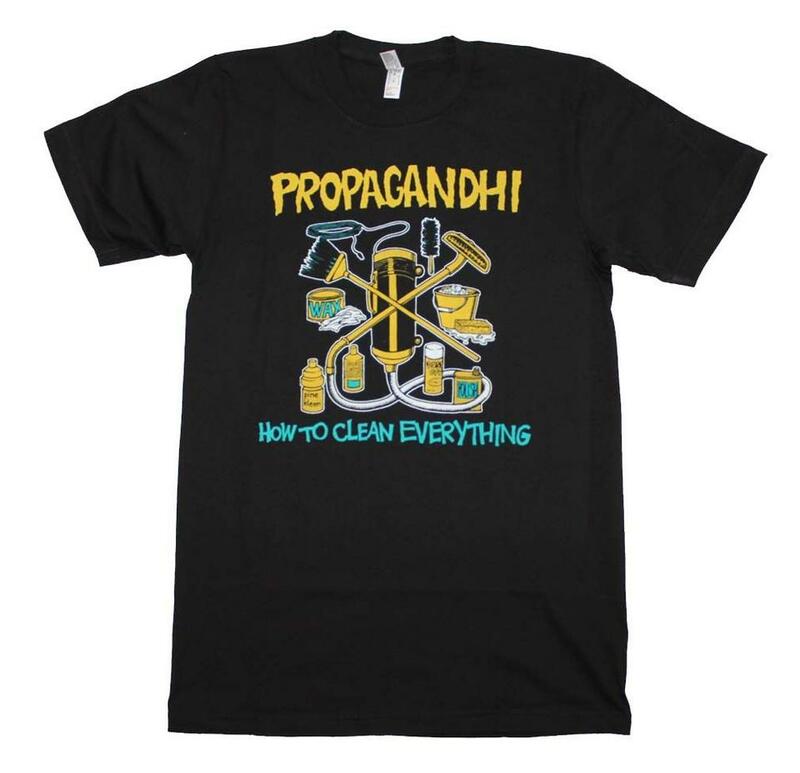 Propagandhi punk t-shirt featuring a How to Clean Everything print on the front of the shirt. The image is printed on a premium American Apparel organic cotton t-shirt . Officially licensed.